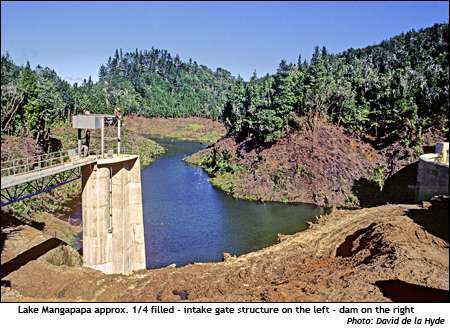 The penstock tunnel intake structure is in the right background. 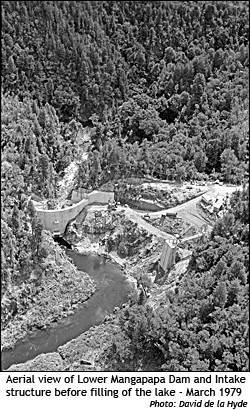 Looking upstream from the penstock intake structure. Lake Mangapapa Dam can be seen on the right. The lake bed was cleared of all trees. 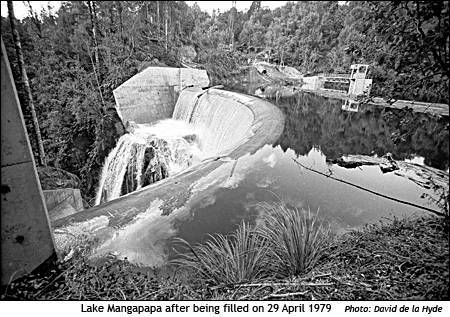 This photo was taken during the period the lake was being filled in April 1979 - as can be seen some small slips occurred during the filling process. The light volcanic ash composition of the soil can be clearly observed. 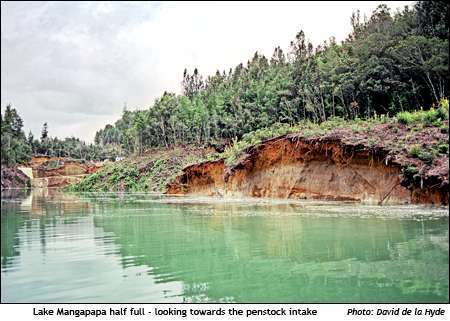 Lake Mangapapa extends downstream from Lloyd Mandeno Power Station and is about three and a half kilometres in length.